- It is a tough reel. - It is costly for tight budget anglers. The ambassadeur® CS Pro Rocket 700 is another release from Abu Garcia. Abu did not just release this reel for the sake of it but had a purpose of doing so. 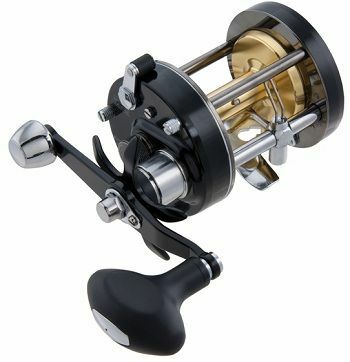 The reel is superb for both fresh and saltwater fishing. It has a smooth casting and retrieves abilities, which squarely places it in the must have category. The reel is designed to help the angler withstand harsh fights, which are likely to appear at the end of the line. It is engineered for long castability, feature a synchronized level of a wind system and comes with a strong and durable Carbon Matrix™ Drag system. The Ambassadeur CS Pro Rocket 700 is designed and engineered for long castability. It features an extended bend handle that comes with a power knob, which gives the angler, an edge over the predator irrespective of the experience. It does this by increasing the torque, while it aligns the cranking ability to give the angler more power to fight. This real comes with a powerful Carbon Matrix Drag System – which apparently, is the strongest and the most lethal, and durable drag system on the market. 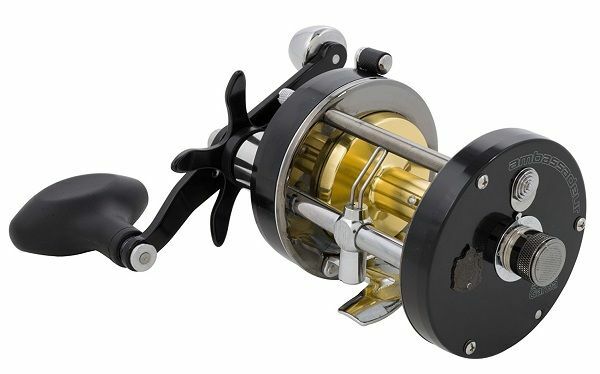 Also, it comes with durable stainless steel bearings, which are corrosive resistant anti-reverse bearing and ensures that the reel provides the best service when it comes to a long haul. If you are learning how to fish, one of the problems you are likely to encounter is getting the right brake settings for your reel. The Ambassadeur CS Pro Rocket 700 comes with a 4 pin centrifugal brake which should be adjusted to give the angler the best fishing experience. The brakes have pins attached to the spool and apply pressure to the spool as it slows down or spins faster..
To effectively adjust these brakes, it is important that you check the side plate off the reel. In Abu Garcia's case, you will be required to unscrew and twist the side of the plate and symmetrically set the reels. Abu gives you numerous options to choose from: 6 pins, 4 pins 2 pins and 0 pin alternatives. However, once one pin has been turned on, it is mandatory that you turn on the p opposite pin. Turning the pin off is easy; all you need to do is to push it until it clicks. So, just remember that breaks are turned off by being pushed in. Abu Garcia's Ambassadeur CS Pro Rocket 700 comes with the powerful Carbon Matrix ®Drag system, which is smooth all through its settings. This means that you will not lose any big catch; since it allows the fish to run, but not break the line. The drag plays a critical role in applying pressure to the fish and ensures that the drag is smooth all through. It also ensures that the line is pulled smoothly regardless of the tension you set. The reel comes with anti-reverse bearing whose mechanism allows the line to pay in. It works with a ‘pawl' or ‘dog,' which engages the wheel attached to the handle shaft. The anti-reverse function does not allow the handle to turn backward especially when the line is being pulled while the drag is on. The bearing has a tighter tolerance that helps the reel to achieve fabulous results. It does not give the handle a chance to play but allows the angler to control the proceedings during the retrieve completely. The bearing gives an added security when the angler comes face to face with a first running fish. Abu Garcia's Ambassadeur CS comes with extended bend handle with knobs that give the angler a greater grip power. This is critical because it enhances the anglers cranking power and ability. Cranking power is important since it enables the anglers to fight the big fish and allows them quick retrieve. If you are an angler, who loves to catch catfish and salmon. The Abu Garcia's Ambassadeur CS is, certainly, one of the options you should consider. The reel is tough, does not suffer from backlashes and can handle anything. It is easy to cast in the surf, easier to clean and maintain. Also, the Abu Garcia's Ambassadeur CS is one of the few reels you can use for stripers, largemouth fishing as well as ocean fishing.